Today I’m going to highlight some of the bugs/problems we have run into with vSphere Single Sign On (SSO), introduced in vSphere 5.1. We are using a Active Directory (AD) forest that consists of a single root domain around 20 sub domains, a single level down. That is we have a root AD domain like example.com and below a single level we have all the domains, mostly on the form department.example.com. All users exist in one of the sub domains, none are placed in the root domain. It contains only service accounts, groups and servers. The SSO as of version 5.1 U1b only supports External Two-way trusts (See: KB:2037410) so at first you think it won’t work. So you try adding a group from AD and you are able to do so. But trying to authenticate with a user of that group doesn’t work. Adding the user itself instead of the group works. VMware have stated to us that this is a problem with the transitivity of the trust in Parent-Child trusts which does not exist in the External Two-way trust. I suspect that this is also caused by another “bug” that we have noticed that I will explain below. Workaround: use local SSO groups with AD users. This works just fine. We discovered last week that we were unable to add users to permissions or SSO groups if the SSO already new a user with the same sAMAccountName but in a different domain. VMware confirmed this as a bug which will be fixed in an upcomming release. The bug only occurs in child domains in an AD forest. This is small bug but when adding a user (or group) the first time the user is added with username@example.com rather than the correct username@department.example.com which is shown when adding and despite selecting the correct domain in the “Add user” dialog. The result is that the first time the user logs in nothing is shown despite the user having permissions. Have the user log out and then remove and add the user solves the problem, as if the SSO figures out that the user is in the sub domain on first login. I suspect that this has something to do with the first problem as well. 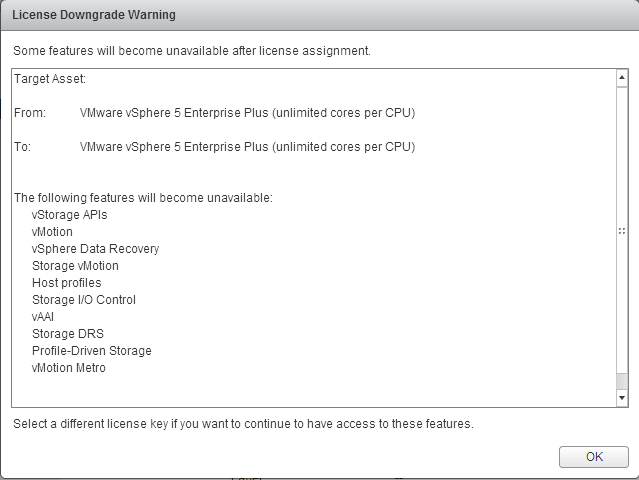 Despite KB:2037102 stating that the bug was solved in vSphere 5.1 U1a we are experiencing it on this version aswell. We have not reported this yet but am doing so tomorrow morning. For some users no errors are shown but the user is not removed, for others an error is shown that the principal could not be removed. In the imsTrace log a Java exception shows that the principal cannot be removed because it does not exist on the group, even though the web client shows the user. Today I’m going to show you a little trick I found in the vSphere C# client that I have not previously seen anyone mention, I didn’t even find until last week. Reason I found is simple I had a need to live migrate a VMkernel. 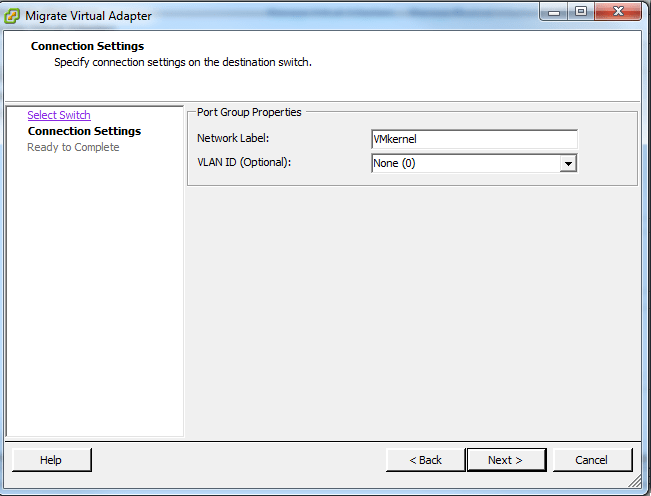 You have one or more Distributed Switches (VDS) which have two or more uplinks. You need to move e.g. the VMkernel NIC handling Management Traffic from the VDS to a normal Virtual Switch (VS) on the host. And you want to do this without losing connectivity from vCenter to the ESXi host. Why would you need this you may ask. For us the reason was simple, we needed to move ESXi hosts with live VMs from one vCenter to another. If all traffic including management and vMotion is handled by VDSs disconnecting from the vCenter would remove connectivity as VDSs are a vCenter/cluster construct. I search a lot to find how to do it and always ended up with the solution “Use the DCUI and restore management switch and vmkernel from there and reattach uplinks”. But that would shortly disconnect the ESXi host from the vCenter and I would have to login to each hosts remote console software (DRAC, iLo etc). Tedious work. Easy. Just remember – and this is the important step – To avoid downtime and losing connectivity you need to first move one of the uplinks to the VS you want to migrate to so that there is an available physical connection. Once you have migrated you can move the other uplink(s) to the VS and you are done! 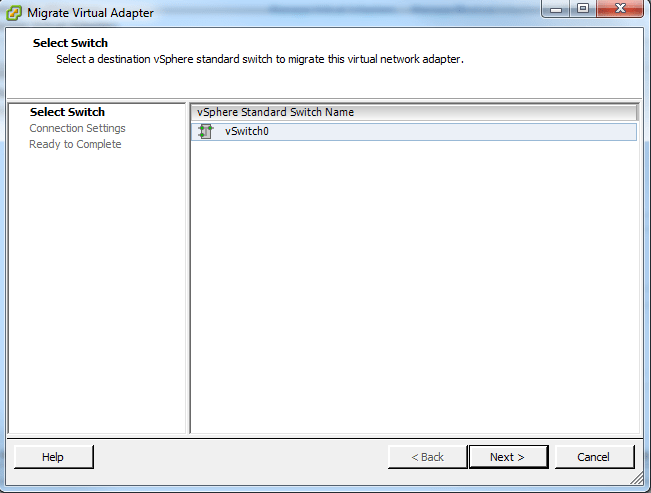 Easy, and all done from the vSphere client! If you are a real pro most of it could probably be scripted as well but due to only have a few hosts I felt more comfortable just doing it by hand, one at a time.